And yet so many were willing to defend & excuse this terrorist, accusing others who saw her for who she is as “Islamophobic.” Brave reporting from @Josiensor & Robert Mendick. Jeremy Corbyn and other traitors raced to defend the “rights” of Shamima. Now ISIS victims have come to testify that she was a well trained ISIS police officer, and was a cruel enforcer in ISIS’ morality police (who punish by lashing/stoning/beheading). Appropriate for those in #Britain who claim that #ShamimaBegum deserves return to UK to reconsider their positions. #ISIS morality police behaved like Nazis, not innocent schoolgirls. Do genocidaires deserve safe have in UK because of their citizenship? Turns out the TERRORIST was actually a TERRORIST. Imagine my shock. 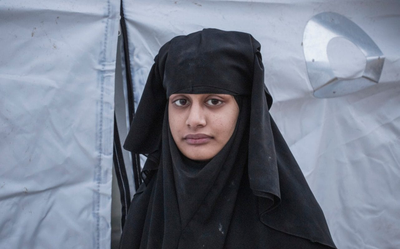 “They don’t have proof that I did anything dangerous” Shamima Begum said... The truth always outs. This is why national security decisions are taken once the intelligence is available, to ensure no risk to the public.